The accessory is alternatively provided with two steel disk bases. The urban street lights enhance your Urban Tiles; or can used with gaming surfaces you already own. 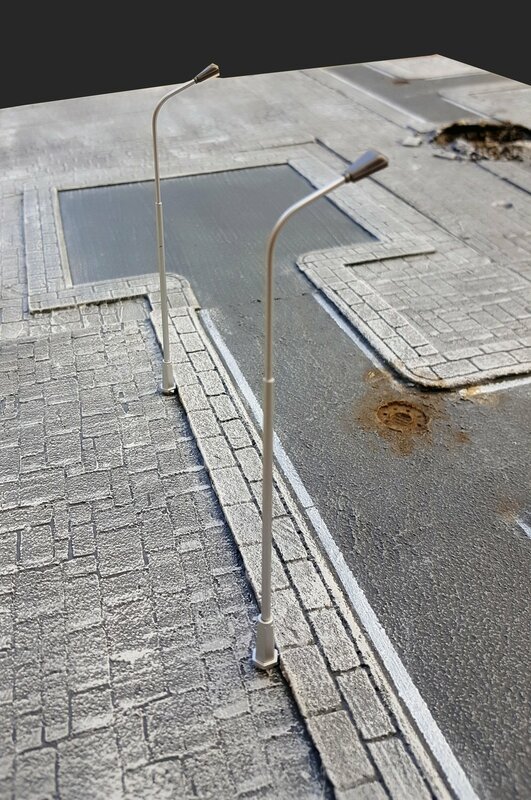 Each Set includes 1 Street Lights, either 11cm high (15mm scale) or 14cm high (28mm scale), with a 5mm neodymium magnet at their base. Great for Flames of war, Team Yankee, Bolt Action, Warzone, Infinity, Warhammer 40K wargames, as well as role playing game sessions.